Brett was with the youth sides at both Ipswich Town and Arsenal, before signing for Diamonds on 5 July 1999 as a 16 year old scholar. 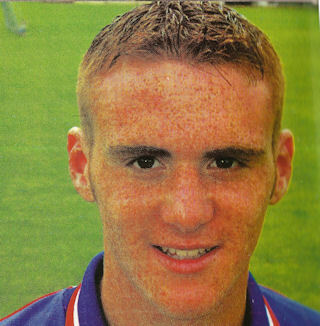 After impressing in the U18s, he signed professional contracts on 27 November 2000 shortly after making his debut in the Nationwide Trophy victory over Stevenage Borough. With promotion into the Football League however, his opportunities in the first team were limited, and he made just two League appearances over the next two seasons before being released on 18 February 2003 to join Kettering Town. He was their longest serving player during the 2008/09 season but was released in the summer. On 21 May 2009, he joined newly promoted Conference South side Corby Town, but after finding it difficult to gain first team football, he moved down a League to join Southern League Premier side Brackley Town on 31 March 2010. Brett rejoined Kettering Town during early July 2010, but left at the end of the season. During July 2011, he was with Southern League side Brackley Town. He left after three seasons with the Saints, in which time they had gained promotion to the Conference North. Brett returned for a third spell at Southern League Division One Central side Kettering Town, signing non contract forms on 23 May 2014. He remained with the Poppies for several seasons, appearing in over 500 games for the club, and was still a key part of their side at the start of the 2018-19 season. His Wikipedia entry is here.